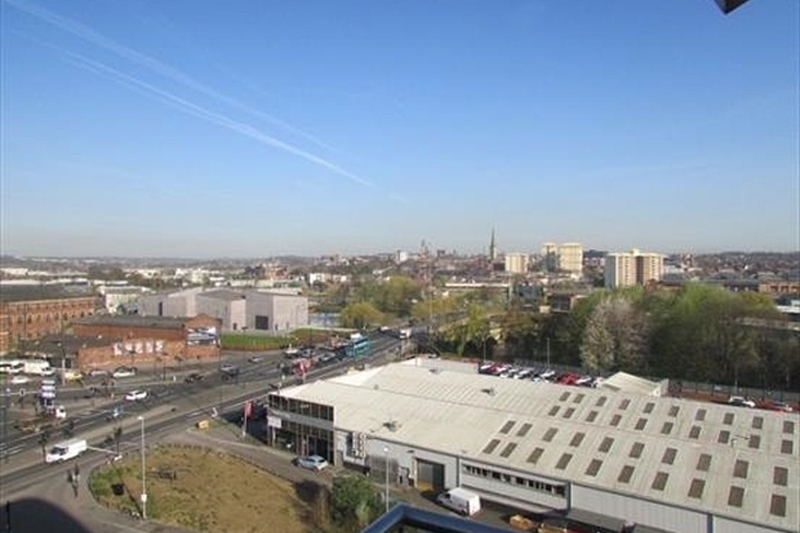 PENTHOUSE apartment with views over Wakefield City Centre. Having been fully redecorated This impressive property benefits from two double bedrooms, with fitted wardrobes and solid oak internal doos and allocated parking. Boasting a large walk on balcony and impressive bathroom. The property is situated on a modern development within easy reach of Wakefield city centre and the motorway network. The penthouse comprises of large entrance hall, lounge/kitchen area with appliances, two handy store cupboards, master having en-suite shower room and a house bathroom. Benefiting from double glazed windows and elctric heating. Boasting a built in safe and fitted wardrobes in both bedrooms. With internal hardwood luxury doors and fitted blinds. Including fitted kitchen appliances such as fridge , freezer and washer dryer. Impressive double aspect L shaped balcony. All material on this website is provided for information only, and is not intended to form part of any offer or contract. Our policies and practices may change at any time without notice.